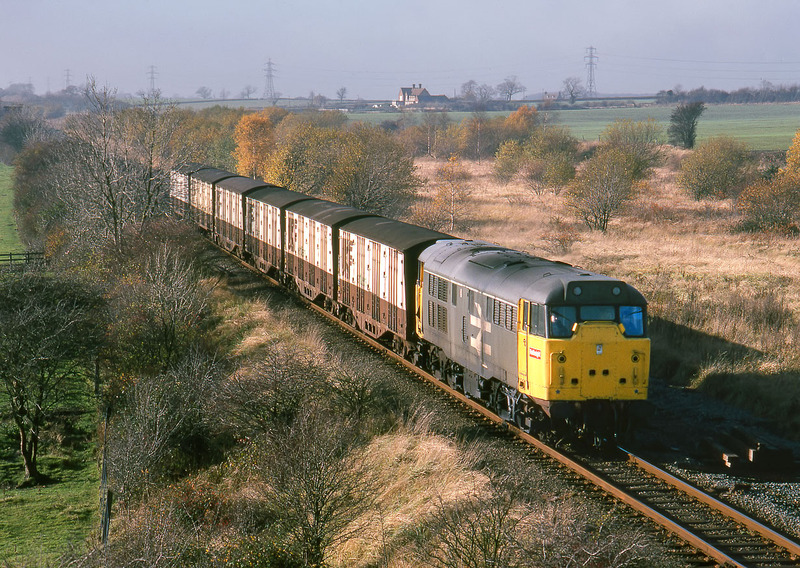 31159 passes Newton Longville, on the Oxford to Bletchley freight only line with the 6B20 10:20 Akeman Street to Bletchley UKF fertiliser empties on 15 November 1986. All is now history, as the fertiliser traffic no longer runs and consequently and through lack of any other traffic on the route, the line is now closed. 31159 was cut up in 1996 and even the distinctive PWA pallet vans are no longer in use. This is the only time I managed to photograph this train in good light.